I’ve been reading some new books as of late…..the most recent is a book entitled Burning Down The Shack. 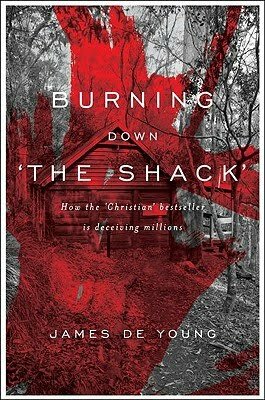 The book is written by James De Young, Professor of New Testament Language and Literature at Western Seminary, Portland Oregon, and if you haven’t guessed already, he challenges the very core of the well known best selling book, The Shack. With a subtitle like “How the Christian Bestseller is Deceiving Millions”….you can imagine how scores of “Shack” followers will view this rebuttal...perhaps as a horrible and negative attack on something they deem as so wonderful and fun. Unfortunately, "The Shack" is anything but wonderful and fun, in fact, quite the opposite. Though fictional, the book brings darkness to an already dark world by teaching doctrine that is at times of a sub-biblical genre, and at other times just blatantly and completely un-biblical. Among its predominant themes are the Trinity, the character of God and the nature of good and evil—themes that strike to the very heart of the Christian faith...however in numerous ways it's writings are completely opposed to the teachings of the Bible. With a huge community of devoted fans, “The Shack” has been a best seller for months. With everyone looking for answers to life’s tough questions, “Why do I suffer? Where is God in my suffering? How can God be good if he brings suffering in my life?" It’s easy to see why so many are drawn to the fictional work....not to mention the the fact that today's society...including the Church...has fallen prey to the unrealistic...Hollywood version of life. So what is all of the hubbub about, anyway? Why would anyone write a book that casts a negative shadow on what a huge majority of the “Christian” community has embraced? The book explains. After listing several quotes from "The Shack", James De Young writes, “But the quotes and statements above are just some of the many troubling claims found in "The Shack"….They go to the heart of many important doctrines, including the nature of God himself; the meaning of the incarnation and the crucifixion of Christ, sin and judgment, hell, the church; and many, more.” But even more than that, Paul Young, author of "The Shack", brings God down to us and redefines him in our image, where as the Scriptures lifts us up to God to help us become like him. But wait, there is so much more to this book…aside from having to point out what should be obvious to “Bible Believing Christians”, James De Young brings wonderful truths to light through the retelling of the stories in the Bible, and providing essential Scriptural instruction to life’s tough trials. In the book, Burning Down The Shack, the author writes from a couple of interesting perspectives, one of which expounds through a personal knowledge and friendship once shared by the two authors. James De Young and Paul Young are former friends and neighbors whose kids went to school and graduated together. Together they co-founded a Christian think tank which held monthly meetings in their hometown of Portland, Oregon. They with a group of eight to twelve others discussed and probed Christian topics and doctrines. It was during that time that James De Young retells the accounts of what led to the doctrinal challenges that ultimately changed the course of Paul Young. It was there that the famous author of "The Shack" presented a 103 page paper which presented a defense of universal reconciliation…that at some point every person will come to a right relationship with God, that Satan and his fallen angels will be purged of sin, and that all of creation will be fully and finally restored. In other words, there is no judgment, no punishment, but rather a second chance after death which is the complete opposite of what the Bible clearly teaches. James De Young's inclusion of this paper in his book clearly explains why Paul Young's book, "The Shack" is laden with so many false doctrines. James De Young writes so eloquently in what I believe the summary should be…. “The Story of Jesus…There is no one in the Bible and in all of history who has suffered as Jesus Christ did. He is a favorite, unique son. He was once beloved by everyone but came to experience rejection by almost everyone, including his own disciples. He died a horrible death, innocently. Yet there was total reversal – he came alive out of the grave and remains alive (as the Scriptures clearly show). Burning Down The Shack is a solid book! If you are looking for a resource that interacts with "The Shack" and are interested in searching out the truth for yourselves, this book does so in a way that is thorough and discerning and full of Scripture…..now how can you go wrong with that? It’s a great read and one that you will benefit from tremendously. In addition to this book report, a series of articles on The Shack will be posted soon for your further study into the many false teachings that the Church is now embracing. Remember…The Bible is absolutely the only authority by which a Christian can stand upon...it is the Word of God! 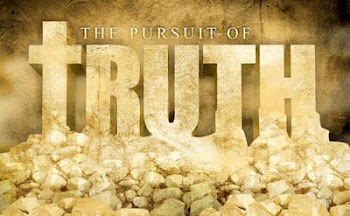 If what you are reading does not line up with the Scriptures…..then you must conclude that those things which are contradictory are not the truth and are being delivered by those false teachers that Jesus Christ warned us about. I would admonish any who've read The Shack to divest of their emotional attatchment and review this article and the book it endorses "Burning Down The Shack" with detatched objectivity with an eye (and heart) upon the Bible, that is 'sola scriptora'- our only source for spiritual Truth. 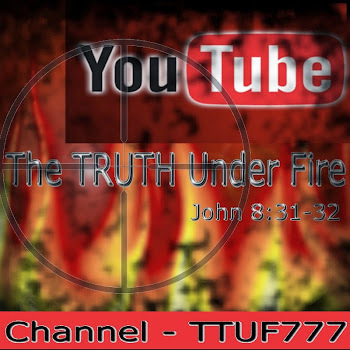 Its the prayer of those at TTUF that people will understand and reject any non-biblical teaching regardless of its source (either fiction or non-fiction). I will also be submitting an article on this book, The Shack, entitled "Looking Into The Shack-A Review of the Book, Unshackled"